With the right tools, you can make sure wonderful things. 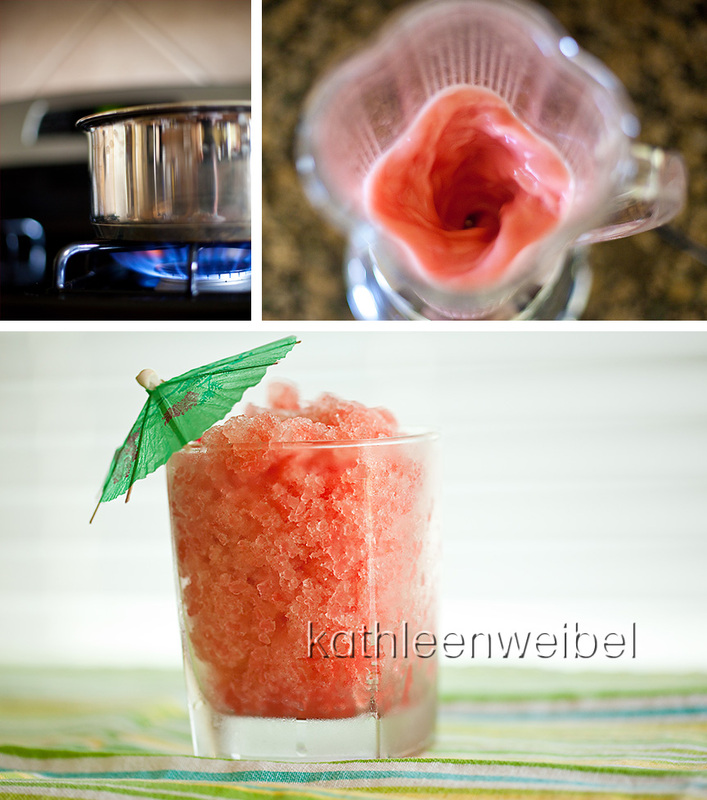 This is one of my favorite summer treats - Watermelon Ice. Yummy!!! Puree the watermelon and strain the liquid into a mixing bowl. (By the way, there is no need to buy the largest watermelon at the store. A small one makes plenty, but none-the-less, I still buy the biggest one every year. And my freezer is overflowing.) Set aside. Boil the water and sugar until the sugar is dissolved. Allow to cool. Mix all ingredients together, and pour into a 13"x9" pan. Put in the freezer. After about 45 minutes, take it out and use a fork to scrape the top. Put it back in the freezer until all liquid is frozen. Scrape with a fork and spoon into glasses. Enjoy! oooh ooooh, that does look yummy! I think it would be easier for me if I just came over :) Looks delicious! Great post and even better that I get the recipe to make it myself....yum!! YUUUUMMMMMMM! I'll bring my own spoon! ooohh yum!!! Your pics made me so hungry! That blender pic is so neat! Yum, yum! I have never heard of this but your pics make it look delicious! Yum, I'm sold! Love the flame and blender shots - very creative.